Certainly would have been difficult to hold in your hand at the dinner table but here’s the first telephone, courtesy of Mr. Alexander Bell. Without business networking, the telephone as we know it might never have existed. 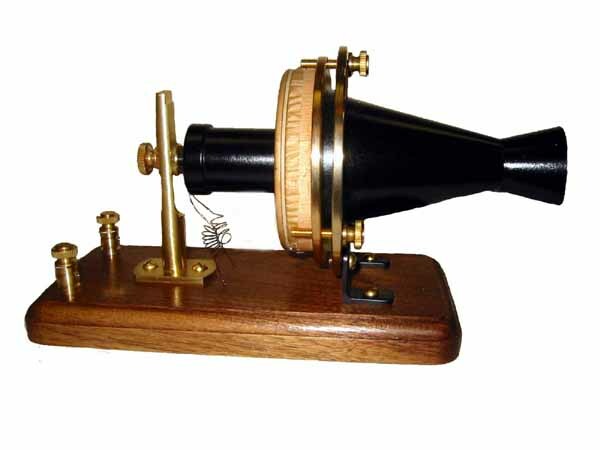 Forced to setup his seemingly unimpressive telephone prototype in the top floor of Machinery Hall at the Centennial Exposition in Philadelphia in 1876, Alexander Graham Bell was desperate. The hot summer sun had been assaulting guests through the glass roof all day and the judges, who had been forced to walk around in their formal suits, had reached their breaking point. They agreed to break early and judge just one more exhibit. With this being his last day, Bell had probably run out of time. They walked upstairs, Bell won gold, and the rest they say is history. Hi. If we haven’t already met, I’m Bill Szczytko. My first dealings in this incredible industry was back at the AIM Conference in 2010. Before that moment, I was a lowly computer guy who sat in his office all day, dressed in rags. The industry seemed so small and vacant and foreign. When I arrived in Huntington Beach for that first conference, I knew absolutely no one. Not a soul. I wasn’t intimidated though, I was excited. After unpacking, I walked around and asked lots of questions. Laughed. Shared experiences. Shared difficulties. Offered advice. Listened to advice. Engaged. Shook lots of hands. Grabbed business cards. Listened to product spiels. Drank beer bought by others. Friended. Really used Twitter. Followed. Replied. Introduced myself to other’s introductions. Smiled… a lot. I went home that first year exhausted. I had met so many great people and yet I hadn’t even scratched the surface. Over the course of the next year, I started a blog and spent countless hours getting to know others. I had no real plan. I just did. Since then, I’ve been able to help so many people. I’ve grown a nerdy network of sorts. This hasn’t been a game of manipulation on my part or a “What can I get out of you” type of thing. I want to learn from all of you and hopefully you can learn something from me. My industry friends and I don’t get to see each other as much as I would like to, if at all. But I know that if I need advice of any kind, I can just reach out and ask and someone will be there with the answer and be glad to share it. I hope they expect the same of me. 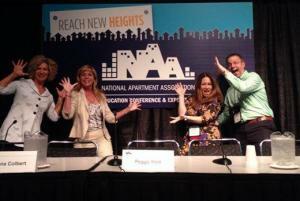 Last week, I was able to attend my first NAA Education Conference where I was honored and humbled to be able to speak to my peers about Digital Marketing. The month before, I attended my 5th AIM Conference and spoke in a Digital Doomsday Session. This was my 3rd time doing it. Speaking to my peers doesn’t get old. From the left, Donna Colbert, Peggy Hale, Ellen Thompson, and me. 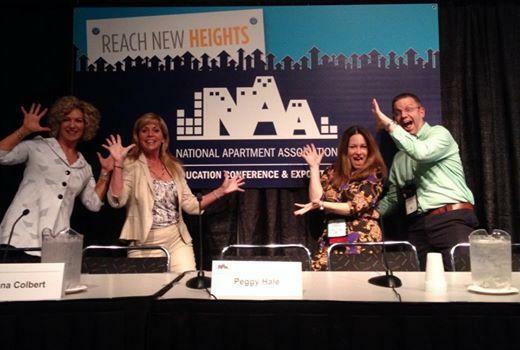 We crushed the NAA Education Conference in 2014 with our great ZMOT talk. It isn’t my personality to brag. I’m not doing that here, I promise. Simply put, my experiences over the past few years are what happens when you utilize the power of business and industry networking and make friends, make a difference, offer true value, and most importantly, listen. It’s what has made me feel rich. I’m excited about the prospects to come. I’m thankful for each and every one of you and if you need me, just email me – bsitko@bsitko.com – I’ve got your back. If I haven’t met you, email me anyway, I’d love to hear about your challenges and listen to your advice. It speaks volumes about this industry that an IT guy with an identity crisis can have a voice. I’m so very grateful for that and I’m grateful for all of you for listening. P.S. Thanks for sticking around during the history lesson. History nerds know that there are a multitude of lessons to be learned just by reading the past. Oh, by the way, a year after his success at the Exposition, Bell formed a company which a few years after its inception would become AT&T. We know how that worked out.